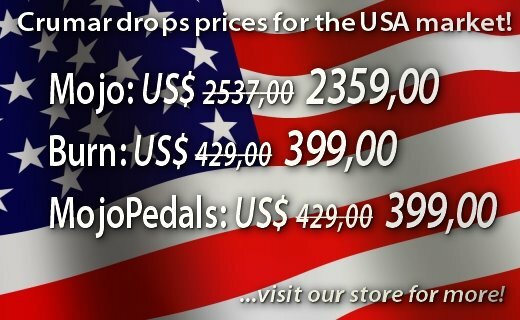 March 28, 2015 Crumar drops prices for the USA Market! Mojo now costs 2359,00 dollars; the Burn is 399,00 instead of 429,00 dollars; many accessories also cost a few less. If you were unsure as to which clone organ to pick up for your new live rig, this is the right time to get the offer! And remember, all prices INCLUDE SHIPPING and PREPAID CUSTOMS DUTIES, in other words this is the final price you have to pay, there will be no extras!